Twitter’s new updates for its website and mobile apps have an emphasis on finding and sharing content. 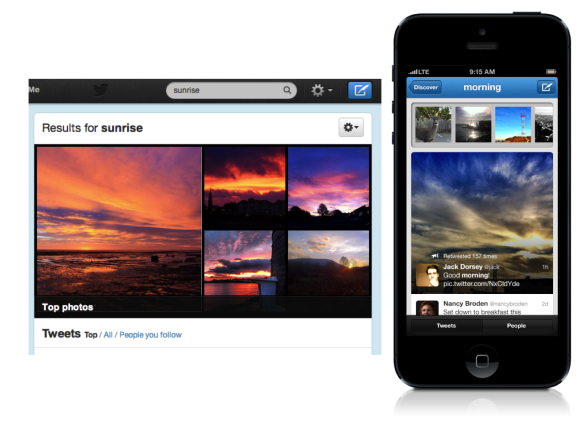 On Twitter.com, users will soon be able to email Tweets, regardless of whether the recipient uses Twitter. The advantage of passing a Tweet along this way is that it retains any photos that were attached the post. This feature, which is rolling out now, is available through the “More” link, which appears on the far right side of every Tweet. The results page also gives little hints as to why certain posts are included—for instance, if they’ve been retweeted or favorited by many other users. 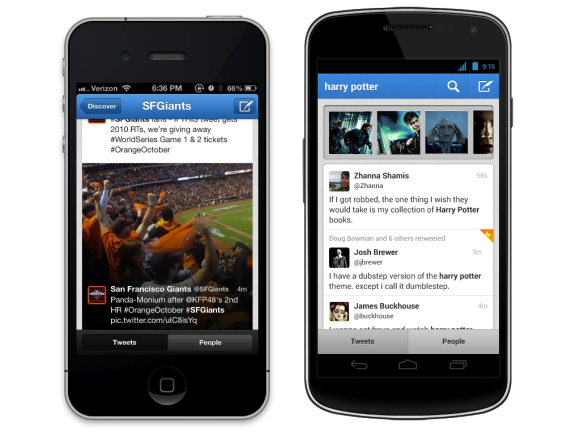 Finally, Twitter has updated its apps for both iPhone and Android. The “Discover” tab in these apps now includes photo previews and article summaries from people who share your interests, making it easier to find stories you might want to read. All of these changes, announced Thursday, are part of Twitter’s attempt to fashion itself as a media disseminator. The social network has struck deals with companies such as the New York Times and the Wall Street Journal to show images, headlines, and teaser text when links to their stories appear in users’ feeds. Combined with inline photos and videos, which Twitter began adding nearly two years ago, the network is using media to become more than a simple communications platform. This approach is not without problems, though. As Twitter tries to move beyond simple 140-character communications, it has placed limitations on third-party clients that offer an alternative to Twitter’s own interface. The free Windows 8 app Tweetro recently ran into these limitations, and is now unable to accept new users. The Mac app Tweetbot had to set its price at $20 to prevent it from becoming too popular and exceeding its user limits. Twitter’s policies have created some outcry in the tech world, but there’s little evidence that mainstream users care. So for now, the network is moving full speed ahead on what it thinks is the ideal design for finding and sharing Tweets.